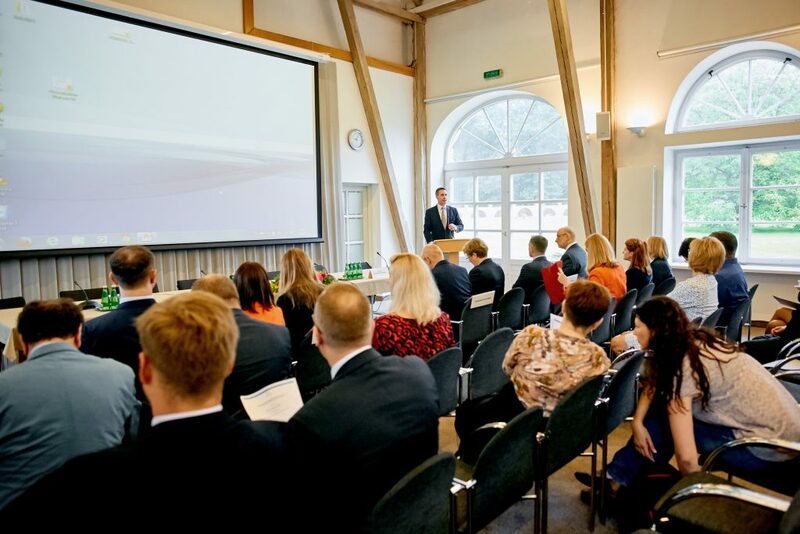 The symposium continued the work of the 3R Project, initiated in 2016, and was dedicated to the events which took place in post 2014 Ukraine and their consequences for the Ukrainian society as well as the international relations in the region and globally. 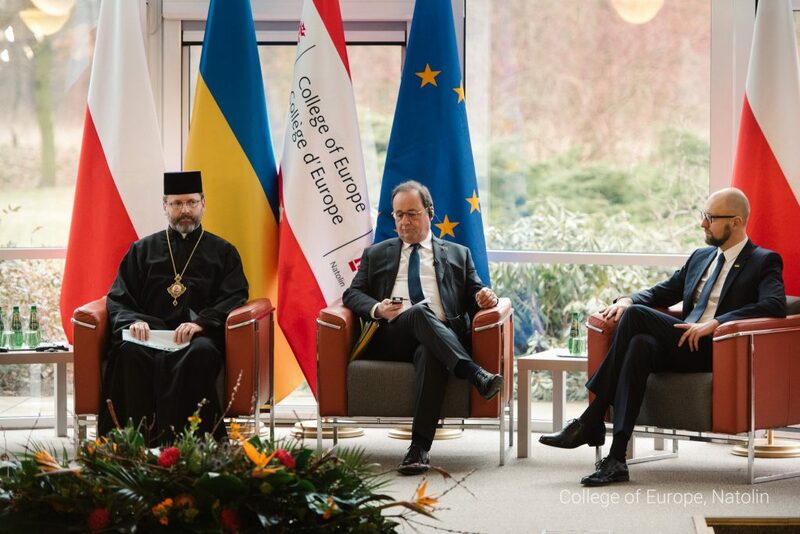 From 28 February to 1 March 2017, the European Civilization Chair and the Natolin campus of the College of Europe held the International Symposium “Three Revolutions – Portraits of Ukraine“. The Symposium was an unprecedented political, diplomatic and academic event as well as the final stage of the Three Revolutions interdisciplinary history project initiated and carried out by the European Civilization Chair in cooperation with a number of prestigious academic partners. The conference “Revolutions, Maidans and Protests in contemporary Ukraine. The current state of research and future directions“, organized on 20th June on the premises of the College of Europe, Natolin campus, gathered over 40 reputed scholars interested in modern history of Ukraine. The three panel sessions constituted an opportunity to reflect upon states of research on the three revolutions from different national and disciplinary perspectives. Some of the presentations discussed a large volume of sources on Ukrainian revolutions from a number of those diverse perspectives paying particular attention to their strengths, limitations and potential research gaps. Others focused on methodological issues thoroughly examining the ways in which the comparison of the three revolutions could be approached, discussing the application of relevant terminology and the wider significance of comparative studies on revolutions. Yet others focused on certain specific aspects of the revolutions that provided a considerable number of far-reaching conclusions that shed some new light on the interpretation of each discussed revolution. Finally, some speakers concentrated on the existing typologies with respect to themes such as causes of the revolutions, actors who animated them, and the interplay between earlier and later revolutions. The 3R Team would like to warmly thank each and every one of the participants for sharing their expertise and thoughts during the conference and thus for greatly contributing to its success. The seminar “The Oral History of Ukrainian Revolutions” was the first organized within the framework of the “Three Ukrainian Revolutions” (3R) project. 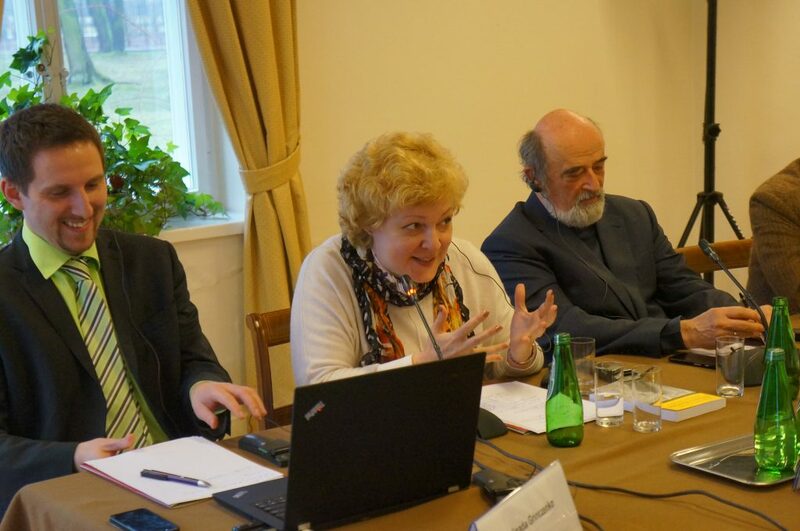 The overall objective of the event, which took place on 19 February 2016 at the College of Europe’s campus in Natolin, was to discuss the applicability of using oral history as a methodological means to explore the three Ukrainian revolts. The seminar was split into two parts. 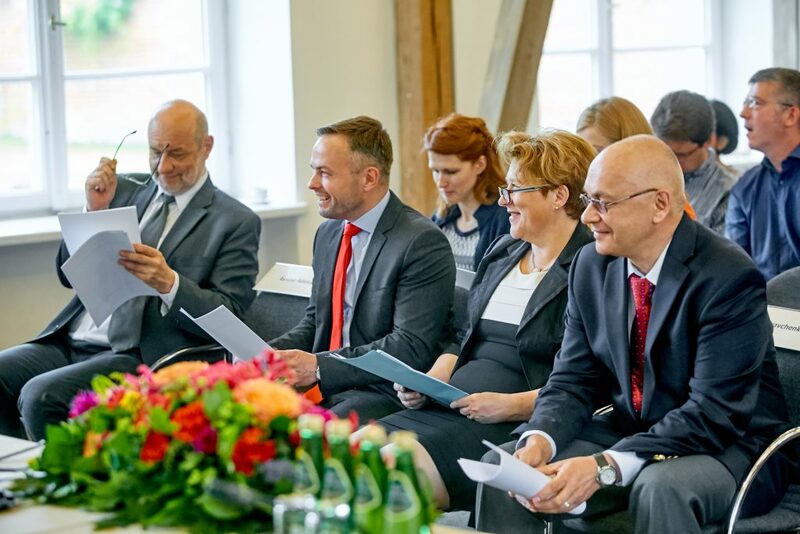 The first began with Prof. Richard Butterwick-Pawlikowski’s welcome address, in which he thanked the Vice-Rector of the College of Europe, Mrs Ewa Ośniecka-Tamecka, for making the project one of her priorities and introduced the project leader, Prof. Georges Mink, and its main investigator – Dr Paweł Kowal. Then, Prof. Butterwick-Pawlikowski highlighted the importance of the events on which the project focuses. On the one hand, their historical roots can be found in the direct democratic traditions of the Zaporozhian Cossacks. 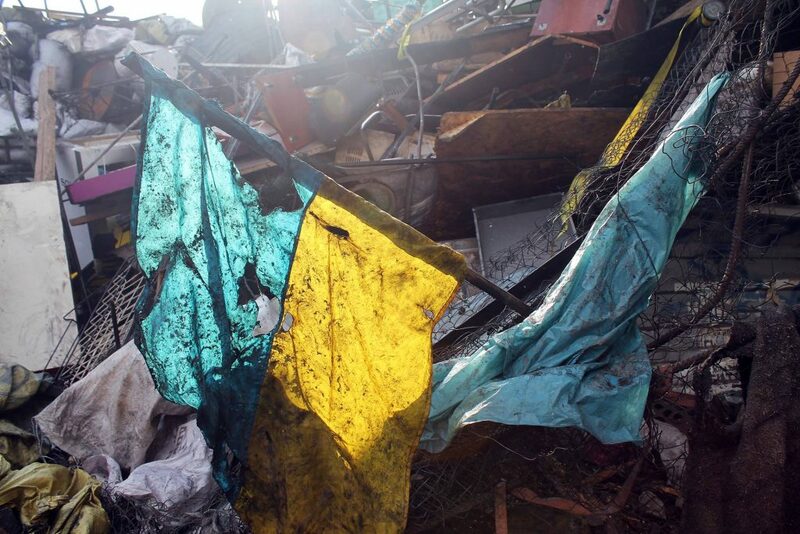 On the other, the means used by, in particular, the Euromaidan revolutionaries bear a strong imprint of contemporary fascination with social media. Consequently, a rigorous study of the three Ukrainian revolutions could not only contribute to the manner in which modern Ukrainian history is viewed, but also lead to a valuable advance of political sciences. The presentation by Dr Katarzyna Bock-Matuszyk (associated with the „Remembrance and the Past” centre in Poland) followed. Her paper entitled “Contemporary discussions on oral history methodology use in historical research” began by pointing out that methodological disputes are fiercely contested to the extent that the oral historians do not to agree even on a definition of oral history itself. Moreover, she also drew attention to a number of ethical dilemmas that a historian may encounter while crafting and using oral history accounts. Dr Bock-Matuszyk highlighted the fluidity of an oral history account, associated dilemmas of historians related to, for example, a witness’s unwillingness to protect the identity of the source or willingness to change fragments of the account after a period of time. The first panelist concluded by posing questions regarding the role and moral obligations of the historian vis-à-vis the witness and the oral history account. The second paper, “Oral history as a source for contemporary history studies”, given by Dr Dobrochna Kałwa of the University of Warsaw, related to a number of topics discussed in the previous presentation and touched on other pertinent issues. She underlined the importance of oral historians’ much-needed ability to promote their project’s significance as some large, valuable and meticulously collected databases of oral history are hardly ever used. She has also dealt with some further methodological dilemmas such as whether a historian should analyse oral history sources (partially) created by herself/himself. Finally, she briefly discussed the pros and cons of a diachrononical method of studying oral history, in which the researchers return to the interviewee after a period of time to revisit same or similar questions. The first session of the panel concluded with a brief questions and answers session initiated by Prof. Aleksanda Hnatiuk. She has stressed that when designing oral history projects’ methodologies, it is important to recognize the achievements and address some rather unsettling questions raised as a result of the so-called “linguistic turn”. Afterwards, Prof. Georges Mink took up a question about the researcher-interviewee relations and mentioned practical techniques which aim at establishing the relationship of equality between the interviewer and interviewees. Then, Prof. Jan Kubik of UCL pointed out that the diachronical method raises a question about the very object of studies – whether oral history is a study of historical events or rather a study of the memories about those events, or, the later stages, a kind of meta-memory. Delving deeper into the practicalities of diachronical studies, Dr Paweł Kowal asked about the techniques facilitating avoidance of repetitive oral history accounts offered by those interviewees, who during the consequent interviews would return to their accounts rather than their memories. The second panelist addressed the issue by saying that the questions posed in the second and consequent interviews do not have to be the same as during the first one. After a brief break, the second part of the seminar began with “Experience of oral history research in Ukraine”, the presentation by Prof. Gelinada Grinchenko of Kharkiv National University. The professor discussed a number of Ukrainian oral history projects completed in recent years. She has described the practicalities of conducting an oral history study in the Ukrainian context. Prof. Grinchenko also highlighted the importance of oral history in Ukrainian historiographical debates. The presentation of Leonid Findberg, the director of the Judaica Center at the National University of Kyiv-Mohyla Academy concerned other pitfalls of oral history projects. In the intervention on “Interview with intellectual, opinion leader or commentator. Oral history or personal commentary of events?”, Mr Findberg draw attention to the impact of the current position of interviewees on the content of their accounts. Finally, Dr Pavel Mücke of the Czech Academy of Sciences delivered a presentation “Oral history as a document of transformations in Central Europe”.